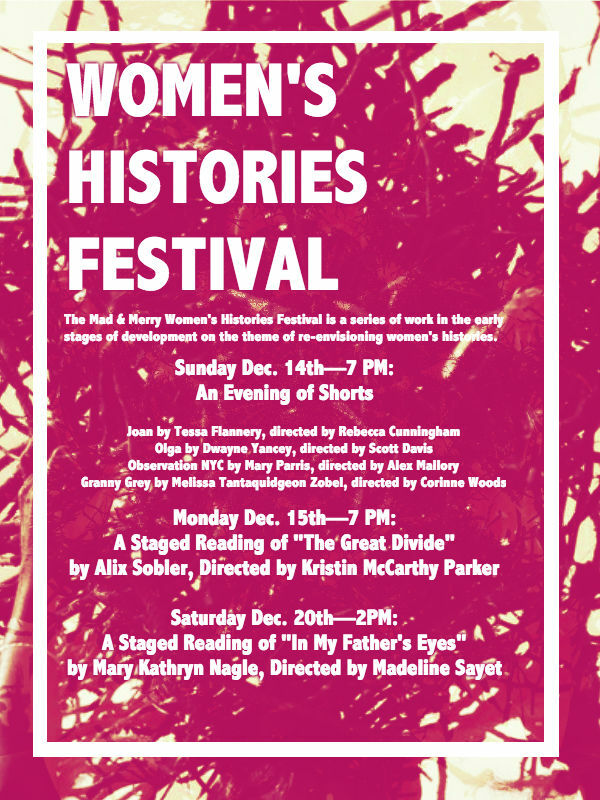 Here’s the poster for the staged reading of my 10-minute play OLGA, which will be part of a festival of short plays about women in history in New York on Sunday, December 14. This 10-minute play is not a cutting, but a spin-off that focuses on one of those characters. This festival is put on by the Mad & Merry Company, and will be at the IRT Theatre at 154 Christopher Street #3B in Manhattan (West Village, or thereabouts) on December 14. Showtime is 7 p.m. Admission is free, but $5 donation suggested. I’m told that space is limited, so if you’re interested in going, please email madandmerrytheatreco@gmail.com to reserve a spot. Here’s some more on OLGA.